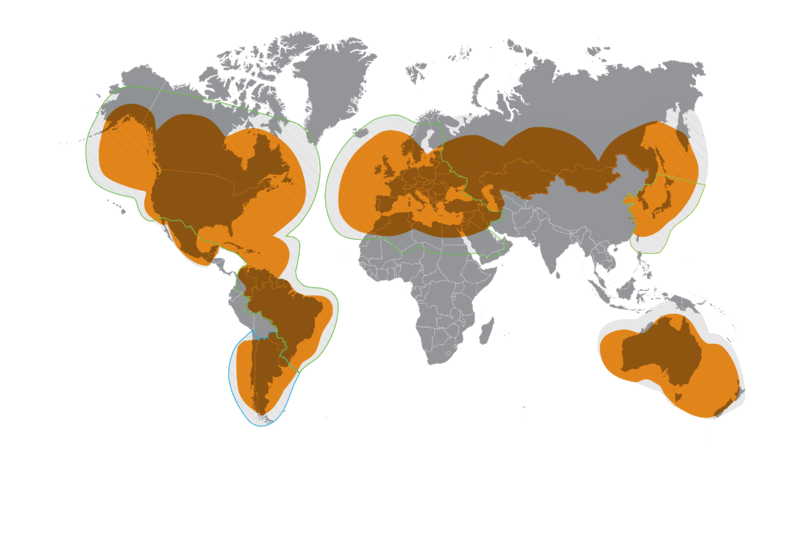 Globalstar has offered satellite voice and data coverage in most of the world since 1999. 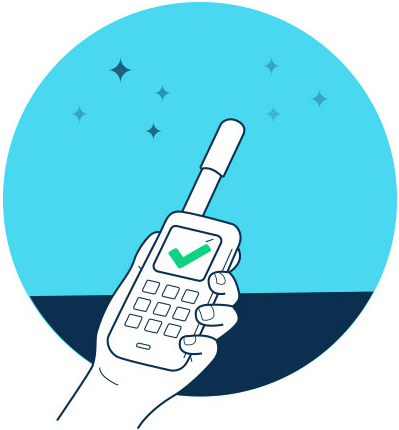 Globlastar phones look a lot like mobile or landline phones with which you're familiar, the difference is that they can operate virtually anywhere, carrying your call or data over an exceptionally clear, secure satellite signal. The Low Earth Orbiting (LEO) satellites used within the Globalstar system allows users to enjoy great call quality and no perceptible voice delay (latency), and Globlastar phones are among the smallest and most lightweight and affordable satellite phones available. A popular feature of Globalstar phones is that users receive a US-based phone number. The Globalstar satellites pick up signals from over 80% of the Earth's surface -- everywhere except the extreme polar regions and some mid-ocean regions. Its second-generation constellation enables several satellites to pick up a call, and this helps assure that the call is not dropped even if a phone moves out of sight of one of the satellites. As soon as a second satellite picks up the signal and connects with the same terrestrial gateway, it begins to simultaneously transmit. If buildings or terrain block your phone signal, this "soft-handoff" prevents call interruption. TIP: Globalstar phones operate over the Globalstar network coverage area. SPOT devices operate over the SPOT network coverage area. 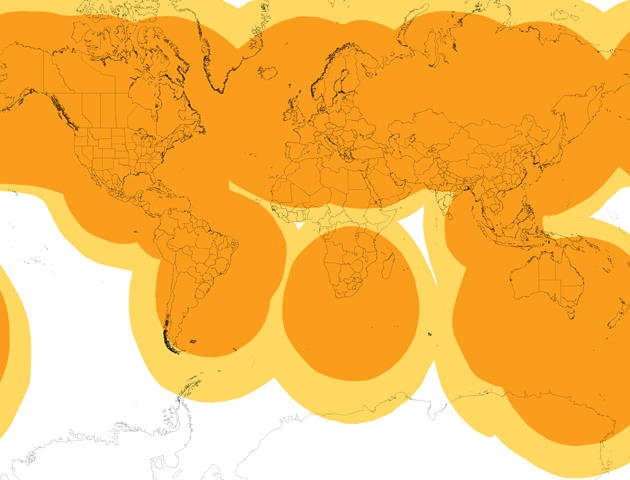 Globalstar offers roaming in over 110 countries serving 90% of the world's population. Temporarily Out of Service Customers who have purchased their SPOT Global Phone/Globalstar phone outside of this area: Roaming is not currently available when traveling to the following countries and surrounding ocean areas: Argentina, Chile, Uruguay, Paraguay and Antarctica. Your phone will not work in these areas, however we are working toward resolving this. Within the Home Zone, Globalstar North American customers can freely roam without incurring additional airtime costs. This map is intended to highlight Home Zone coverage for Orbit and Galaxy customers in North America. Coverage is subject to change without notice. SPOT has coverage over most land masses. Globalstar's innovative, yet proven technology, delivers higher dependability, stronger voice clarity and lower costs than other providers. Use your Globalstar satellite phone with the antenna extended in an open area where the antenna has an unobstructed 360° view of the sky. 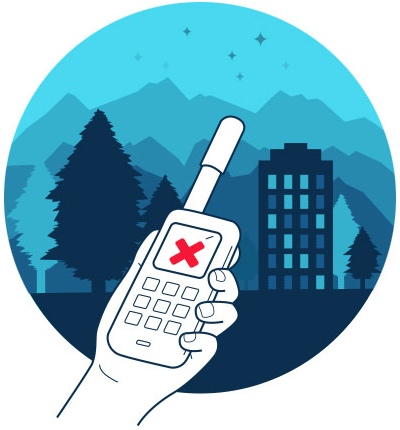 Avoid using your satellite phone near large buildings, trees or mountains as these can obstruct line of sight with the satellites. Satellites are constantly moving so if you are using a satellite phone in an area with some obstructions and some open sky, it may just take a bit longer to establish a connection, or calls might drop as the satellite passes behind the obstruction. How can I view/find my Globalstar phone number? Extend the antenna, turn the phone on and press the “info” key. How do I make a call to a landline or cellular number from a Globalstar phone? Dial “1” followed by the area code and phone number. How do I make a call to another Globalstar phone number? From your Globalstar phone, dial “1” followed by the Globalstar number. Can I send and receive text messages using a Globalstar phone? 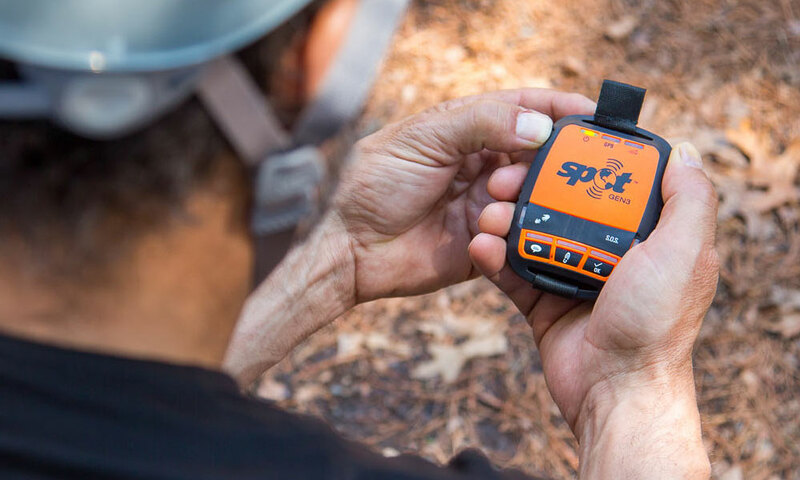 To receive a call using your Globalstar Phone, turn the power on and deploy the antenna, pointing skyward. Once the phone begins to ring, press "Send". How do I receive calls on my Globalstar phone? Yes, it is easy to send a text message from you satellite phone and incoming text messages are free to receive. Visit our Knowledge Base for step by step instructions on sending a text message from your IsatPhone. How do contacts dial my Globalstar phone number? To call your Globalstar phone contacts dial “1” followed by the 10-digit Globalstar phone number, starting with area code. How much does it cost to call a Globalstar phone? 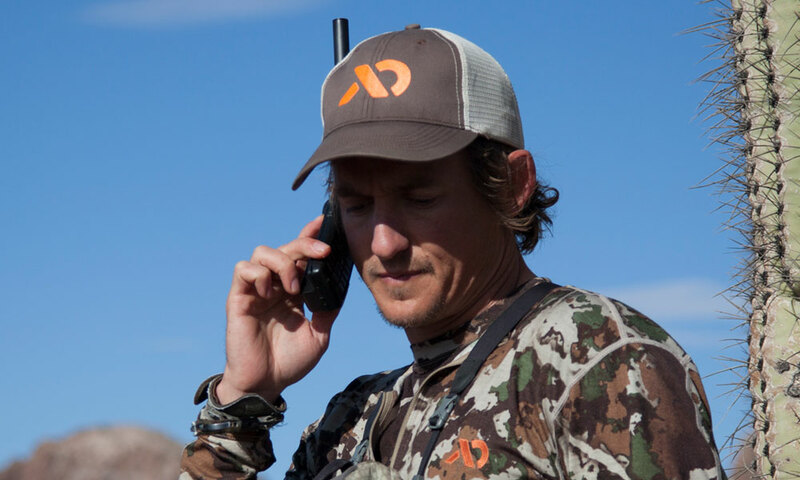 Your Globalstar phone includes a US based phone number, so the callers would pay whatever long-distance cost is applicable, based on where they are calling from.